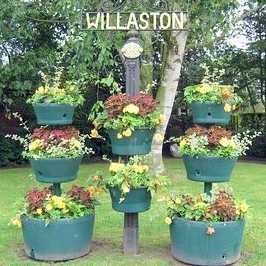 Welcome you to the community website for Willaston, Nantwich. This is a website for our whole community…written by you …about you… for you. We need your contributions to keep the site up-to-date with the many and varied things going on in our village. Your village. Your say. Your Plan. On the 7th December 2017, the Willaston Neighbourhood Plan was subject to a local referendum which returned an overwhelming (95.3%)vote in favour of using the Willaston Neighbourhood Development Plan to decide planning applications within the Willaston Neighbourhood Area. Upon declaration of this result the Willaston Neighbourhood Plan now forms part of the statutory development plan for Cheshire East Council. The Green Gap is the green space around Willaston which keeps it as a village with its own identity. The Green Gap is in danger of losing its protection from development. The Willaston Green Gap Action Team is fighting to retain this protection…. Willaston & District History Group have been in existence six years and during that time have written and published a history of the village. The book proved so successful that all 500 copies have now been sold and so there are no more copies available. In days gone by Willaston Nantwich extended down London Road and Crewe Road and over to Middlewich Road. This is why Willaston School was so named when it was built in 1900 and is not to be confused with Willaston Board School, later Willaston Council School, situated on Crewe Road near the Peacock roundabout. Since the boundary changes of 1936, it has now become within the Nantwich Urban District. It is only some 2 years ago that the Group were contacted by Manchester College, Oxford to say that they had in their possession 240 glass lantern slides showing the activities of the school from 1900 to 1937 when it closed. They had just had the lantern slides digitised and would we be interested in them? After seeing that they were so good and getting permission to use them, the Group have written their second book about the school and its history. Some of these photographs are of great historical interest, for instance there are rare photographs taken at Shavington Zoo. Details about the life of the school had been privately printed by some ex-pupils in 1970 but with no illustrations. This book combines both text and photographs and separate chapters have been written by several members of the Research Group. There is also a chapter on St. Joseph’s approved school for boys which took over the premises in 1938. Many Nantwich people will recall these boys being good at woodwork, metalwork and especially gardening, and doing horticulture displays at Nantwich Show. There is also a section in this chapter about one particular boy from Liverpool who was there in the 1950s. There is a final chapter written by Rev. Michelle Nunn about the Elim Bible College who came in the mid 1980s and this brings us up to date. The book launch took place at Nantwich Bookshop at 630pm on Friday 16th October. On the following day, Saturday 17th October there was an Open Day at Regents Park from 11am to 3pm in aid of Macmillan Nurses. Copies of this book are obtainable through any committee member or alternatively through myself via Email at andrewlamberton1@gmail.com or tel 01270 662435 at £11.95. Willaston is a village of approximately 1500 households and 3000 people and is situated between Nantwich and Crewe in Cheshire. We have now started to build a directory of businesses which provide services to Willaston residents. Click here for details.